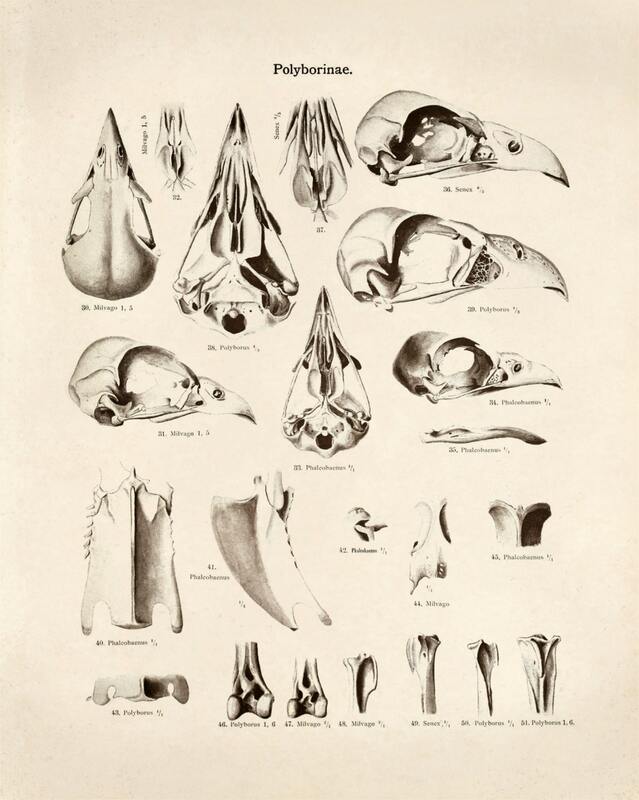 Vintage Bird of Prey Diagram Reproduction: The original art from Zur Morphologie des Vogelskelets: Vergleichend Osteologie der normalen Tagraubvögel (Accipitres) und die Fragen der Classification (Imperial society of naturalists in Moscow) by Dr. P. Suschkin in 1898. 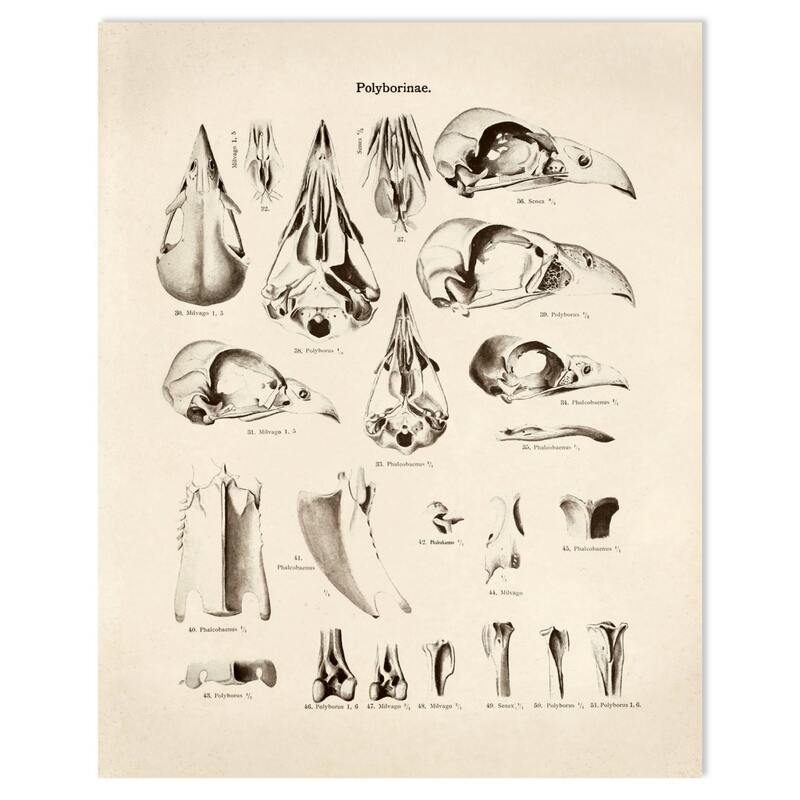 This image is of the Polyborinae, a subfamily of the falcon family, Falconidae. The pages have been scanned in, cropped, and retouched to ensure the highest quality reproduction possible. 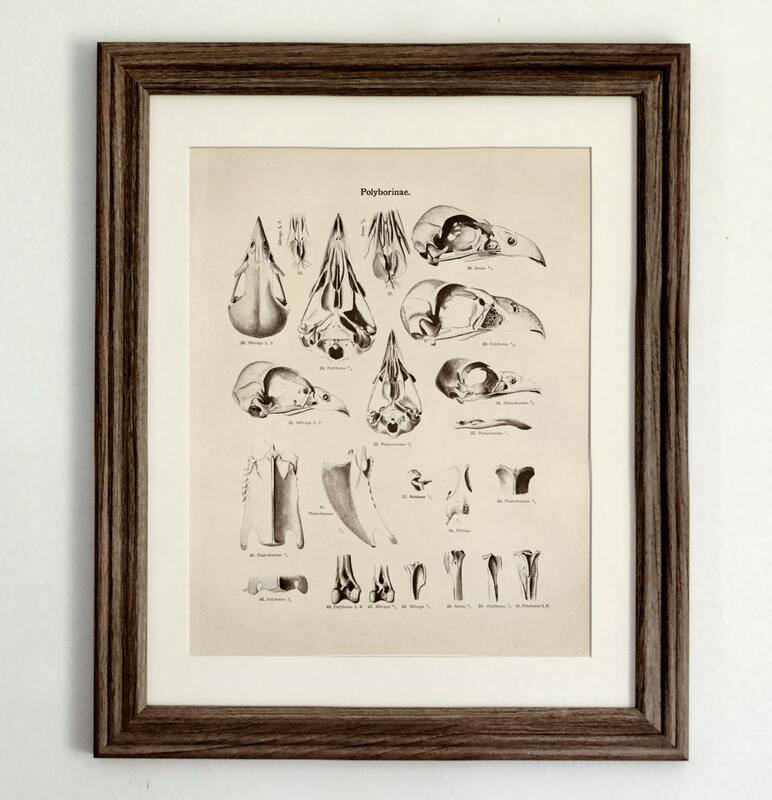 This print is digitally printed on cold pressed fine art paper, 100% cotton fiber, acid free, 16mil. All prints available in 8x10, 11x14 or 16x20.